O, Agia Thema, may Divine Justice, Order and Harmony reign in this country, in this world and in all the worlds to come. Blessed are You. Recently, Race MoChridhe and I have been discussing the Silver Star of the Waters prayer. It has always been assumed that this most basic of prayers (for the Madrians and Janites), had been written in honor of the Celestial Mother. But, it didn’t seem to make sense that it referred to Her as the Silver Star because Silver is the color of the Gentle Light of the Holy Daughter. 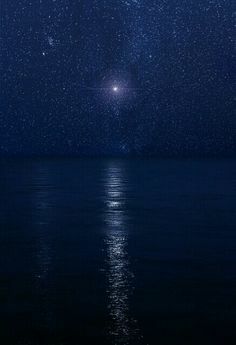 However, as Mr. MoChridhe noted and, quite synchronistically, I, myself recently noticed, the Celestial Mother is referred to as the Silver Star in our scriptures. It is clear, in the Mythos, that this is referring to the Divine Mother. 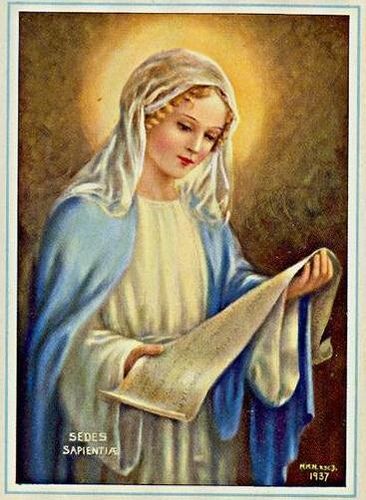 It is She, Whose ‘Brightness is too great to look upon’ and in the next verse, we see the children of the Earth rejoicing because they recognize that it is the Mistress of All Things or the Mother of All things coming to rescue Her Holy Daughter. Of course, Mr. MoChridhe made it clear to me that this was a personal insight on his part and does not necessarily reflect the intention of the original composer of the prayer. As we are very Trinitarian in our devotions and in our Wheel of the Year, (the Fifth Season of Moura being the time of the Great or Dark Mother in the Janite Rite), this interpretation of the Silver Star prayer, where the entire Trinity is being addressed in the very first sentence, is perfect for us. I wish to thank Mr. MoChridhe for sharing this wonderful insight with me and for allowing me to share it with our devotees. While the Madrians, for the most part, used only the Titanide names, I feel that it was wise for the Filanists to assign different names for the Janae because it helps to make clear that the Janae are not the actual Titan goddesses. Until the research of ArchMatrona Ghrian, many of us were not familiar the meanings of the Filianic names for the Janae. However, thanks to her research, we now have this information available and are able to see how entirely appropriate the Filianic names are for each of the Janae. If the Janite Ekklesia elects to become a Rite of Filianism, a decision that has yet to be made, the Names of the Trinity and Janae would be as follows (see below). These Names, in part, include the new-found information on the meanings of the Filianic names for the Janae. In the cases where the Janite and Filianic Names are combined, they would reflect our becoming a Janite Rite of Filianism. As such, the Names become a radiant blend of spiritual meaning. The Celestial Mother is Mari Sophia a name which (according to the oldest translation of Mari) means Mother Sea of Wisdom. The Holy Daughter is Zoe Anna which means Life Grace or the Grace of Life. The Great Mother is Mysteria Sige which means Mystery Silence or the Silence of Mystery. Raya Theia which means Heavenly Goddess. (Raya has other meanings, as well, including queen and flow of a river. Any names which mean flowing river or stream are entirely appropriate for the Janae.) Filianic-Madrian. The proper pronunciation for Raya is Rye-a which differentiates it from Rhea (Ray-a or Rhee-a). Of course, as always, Janite devotees may use whichever Divine Names resonate with them whether the Madrian, Filianic, Janite or Janite-Filianic which is a reflection of all three spiritual Traditions. May Dea Sapientiae, guide us. Blessed is She.